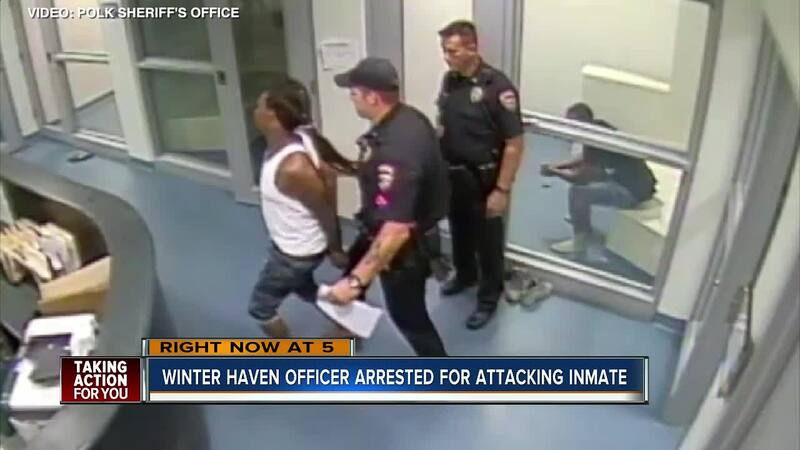 WINTER HAVEN, Fla. — A Winter Haven Police Officer was arrested, accused of breaking an inmate's leg. A two-month-long investigation conducted by the Polk County Sheriff’s Office revealed video showing Officer Brandon Boone using unnecessary force allegedly in retaliation for what was being said to him. “This is bull——; you don’t have to do this. F—- you and f— your kids, I hope they die,” is just one example, according to the Winter Haven Police Department of the language and hate said by Ronal Augustin during his June 23 arrest. While vulgar, Chief Charlie Bird says the force was unprovoked and not necessary. Ronal Augustin, 35, was picked up during a traffic stop and arrested for possession while on felony probation. Augustin was taken into the holding area at the Winter Haven Police Department. During this time, Augustin continued to yell at Officer Boone. 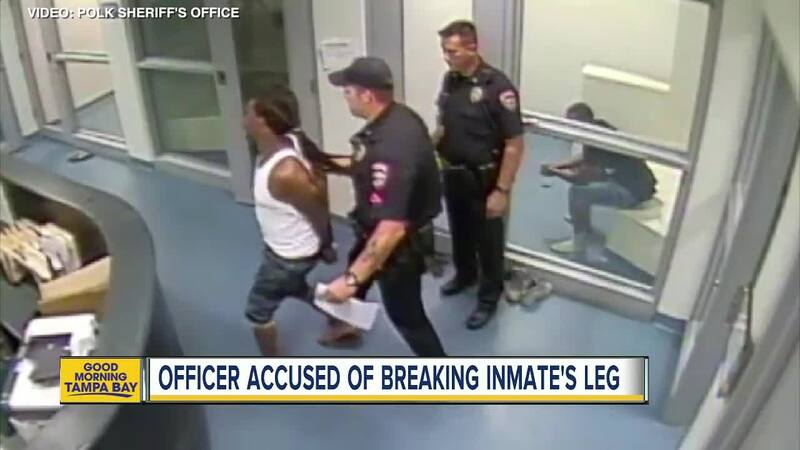 According to Winter Haven Police, Boone was holding the inmate's right arm while he was handcuffed. While it’s hard to tell in the video, Boone kneed Augustin in his right buttocks or hip — which ultimately led to the officer taking him to the ground. Because of Augustin’s position and the weight bearing down on him by the officer, Augustin’s right leg fractured. Investigators say a loud pop was heard and Augustin cried out that his leg was broken. The incident was immediately reported to both EMS and to the staff at the department. “That is not who we are, that is not what we do,” Chief Charlie Bird says he’s extremely disappointed in how the situation was handled. The chief went on to say that despite the verbal attack on Boone, officers are held to a higher standard and should not retaliate with verbal or physical action. The state attorney’s office charged Boone with felony battery. He is currently on suspension without pay. Chief Bird tells ABC Action News an internal investigation is due to wrap up at the end of the week, which will ultimately decide Boone’s future in law enforcement. “It hurts the department and our standing. It hurts our relations with the community, it hurts the families involved,” Bird said. We did stop by Augustin’s last known address for comment, but no one was there.